How New Hampshire’s libertarian utopian movement helped steal a Senate seat for Democrats. 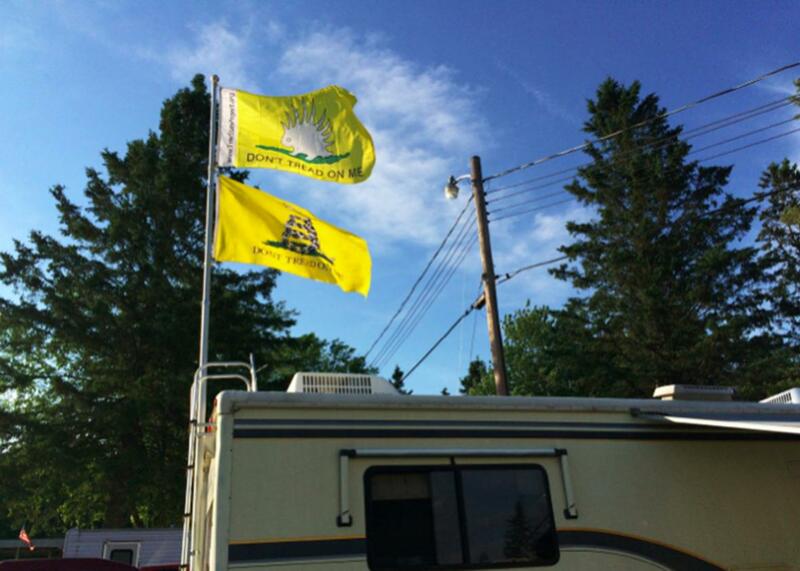 New Hampshire’s libertarian utopian movement leaves its first mark on national politics. 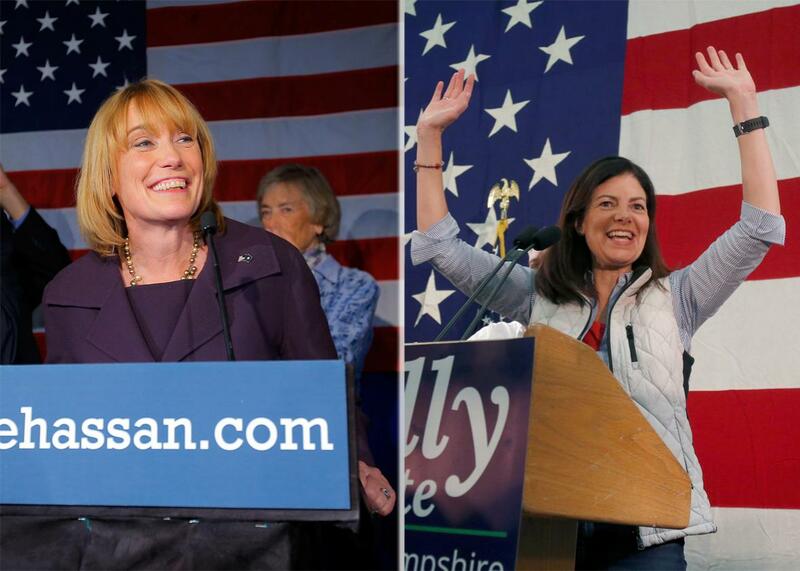 Maggie Hassan, left, and Kelly Ayotte. Photo illustration by Slate. Images by Brian Snyder/Reuters and Mary Schwalm/Reuters. One of the most important candidates on the ballot this election year was a middle-aged guy you’ve never heard of who ran for Senate and got all of 17,742 votes. Aaron Day is the former chairman of a New Hampshire group called the Free State Project, a mass-migration effort with the goal of getting thousands of libertarians to move into the key voting state, influence its politics, and generally turn the place into a libertarian utopia. This year, Day got his name on the ballot to intentionally spoil the re-election bid of Republican Sen. Kelly Ayotte, whom Day had deemed too incurably moderate. If the whole thing sounds crazy, what’s even crazier is this: He seems to have succeeded. Ayotte lost to Maggie Hassan by barely a thousand votes. The victory was one of two pickups for Democrats in a Senate that will be of enormous importance in the party’s resistance to Donald Trump. “And I would bet 80-90 percent of my votes are conservatives or people that might otherwise have voted for Ayotte,” said Day. Republicans are furious of course, but Day is used to that. Since moving to New Hampshire from Massachusetts in 2009, he has agitated for the state’s Republicans to follow his conservative libertarian ideals. As chairman of the Republican Liberty Caucus, he recruited dozens of libertarian candidates and advocated for “pro-liberty” causes, threatening to primary New Hampshire Republicans who supported a compromise on Medicaid expansion. Once we’ve taken over the state government, we can slash state and local budgets, which make up a sizeable proportion of the tax and regulatory burden we face every day. Furthermore, we can eliminate substantial federal interference by refusing to take highway funds and the strings attached to them. Once we’ve accomplished these things, we can bargain with the national government over reducing the role of the national government in our state. We can use the threat of secession as leverage to do this. That 2001 essay created a movement. Libertarians congregated around the idea and picked New Hampshire as their target state. It’s not hard to see why: small population, a “Live Free or Die” culture, an absurdly low voter-to-legislator ratio. New Hampshire is also one of the best states from which to influence Washington. FiveThirtyEight’s Voter Power Index deemed the New Hampshire voter to be (by far) the most powerful in determining the Senate majority. And the state’s first-in-the-nation primary can make or break a presidential candidate. It gave a yet-unproven Donald Trump his first ever victory, and “Comeback Kid” Bill Clinton would never have been president without New Hampshire. The state’s size makes each vote count all the more. This year’s Republican primary had about as many voters as there are people in Henderson, Nevada, while the Democratic primary was roughly the size of Gilbert, Arizona. With such high stakes and so few votes to chase, candidates go handshake by handshake to diners and VFW halls across the Granite State. More than 1,500 libertarians arrive for the Porcupine Freedom Festival, one of the largest libertarian gatherings in the world in Lancaster, New Hampshire. There are the beginnings of a cultural infrastructure as well. 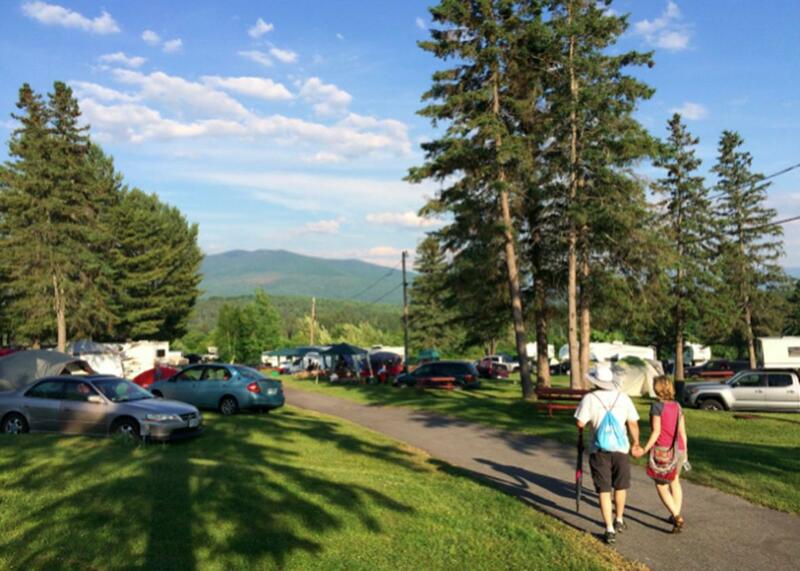 Every summer, libertarians gather for a weeklong event called the Porcupine Freedom Festival, held on a big campground in New Hampshire’s northern woods. On a given day at this year’s session, the 1,500 people in attendance had a choice between shooting handguns or discussing Ayn Rand in the morning, Polyamory 101 or Bitcoin 101 in the afternoon, and Krav Maga or political messaging sessions in the evening. Imagine a kind of backwoods Burning Man, only with more guns and a Charles Koch sponsorship. This is only the start: The way Sorens organized the Free State Project, libertarians sign a pledge to move once the total number of pledges hits 20,000. All the migrants thus far have been eager early movers. This February, though, at a Manchester Radisson packed with political journalists in town for the key presidential primary, the project’s leaders announced they’d hit their target and officially “triggered the move.” Since then, according to early movers, new Free Staters have arrived at an unprecedented rate—six times the usual number of move-ins. A few months after hitting 20,000 signers, the initiative achieved another milestone when Day became the first Free Stater to run for federal office. A stocky, middle-aged man with short blond hair, Day had been made Free State Project chairman in 2014. Until a year ago, he’d led the Ayn Rand advocacy group the Atlas Society. Getting the 3,000 signatures needed for ballot access was the hard part for Day, but the rest was easy. He was a protest vote and nothing more. Accustomed to the backroom but not the ballot, Day said he spent no money on his campaign and little time on the trail. He knew that openly running as a spoiler wasn’t going to win him many friends, especially in the Manchester suburb where he’s raised twins with his wife, Irina. When he went to his polling place in Bedford on Election Day, he said he felt a bit unnerved. 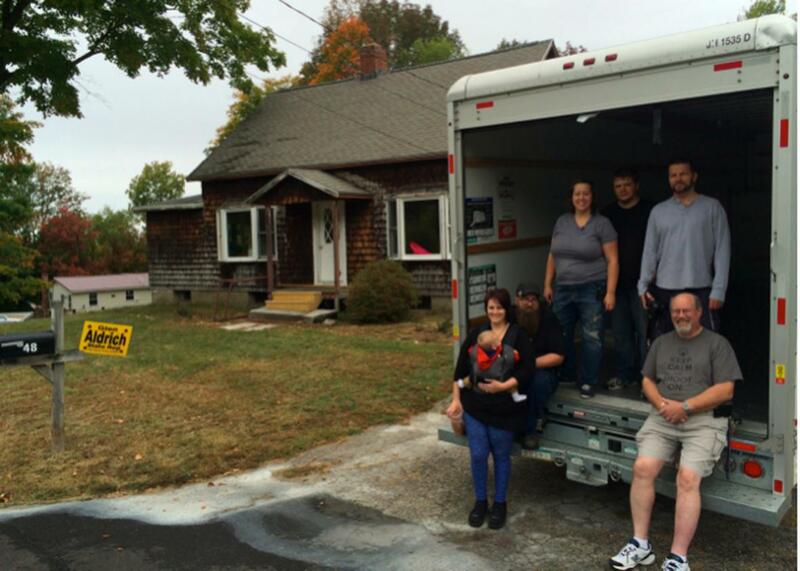 In one of six “move-in” parties on a Saturday in September, Free Staters help the Dubravsky family move into their new home in New Hampshire. Day said he’s “far, far, far better working behind the scenes than being the candidate,” but he simply couldn’t find another libertarian to run against Ayotte. He’s run for office only once before: an unsuccessful 2013 bid for Bedford’s school board. And the Free State Project became an issue in that election, according to Day. “They were saying: ‘Oh he’s a Free Stater. He wants to get rid of all public schools … ’ Most of the attacks had nothing to do with me,” Day said. “They were generic Free Stater misconceptions.” Part of the problem may have been that he appeared on the same ballot as Matt Philips, now the president of the Free State Project, who was running for town council. Philips had just moved into town, and at the time he was staying with Day. “So you had people say: ‘OK, here are these two whippersnappers—Free Staters come here and just decided that they’re gonna run,’ ” Day said. The two weren’t well known in town yet, and with local elections held at the end of New Hampshire’s bitterly cold winters, there weren’t many chances to hold rallies or meet voters. So Day and Phillips bought hundreds of bright orange lawn signs. “We just spackled the town with these orange signs,” Day recalled. “And no one has orange signs.” Interrupting the usual red, white, and blue mosaic of election signs against the roadside snow did make Day and Philips stand out, but with some locals seeing them as carpetbaggers come to tear down their government, standing out may have hurt more than helped. Free Staters are winning elections, though. At this point, dozens of them have been elected to the New Hampshire State House—most of them as Republicans, but a few as Democrats whom local progressive activists view warily, as Randians in sheep’s clothing. Together with local non–Free State Project libertarians, they make up about a fifth of the chamber and a major bloc of the fractured Republicans. This November, libertarian activists helped elect the Granite State’s first Republican governor in more than a decade. With the veto pen now in Chris Sununu’s hand and the GOP in control of the entire state government, this coming term is the Free Staters’ first real chance to enact their broader agenda. New Hampshire may soon see drastic cuts to its social services, environmental management, and day-to-day government operation. Local activists focused on New Hampshire’s opioid epidemic, skyrocketing tuitions, and threatened wilderness worry about what a libertarian government will mean for the state. Sorens, who now teaches at Dartmouth College’s department of government, said he’s hopeful about the upcoming term. Sununu “is fairly libertarian,” he said. Sorens expects to see marijuana decriminalization and the removal of permit requirements for concealed handguns. He is also confident the new governor will sign a school choice law called the Croydon Bill. Croydon is a small town whose longtime school board president—an early Free Stater named Jody Underwood—has fought the state to allow students to use their public tuition funds at nearby private schools. Some of those who support secession include Carla Gericke, the project’s president until earlier this year, when Philips took over. Gericke, an attorney originally from South Africa, is known outside the state for getting a federal court to reaffirm the right to videotape police. She now runs a foundation devoted to New Hampshire independence. Libertarians are still a minority in the state government, but as Congress’ Tea Party wing has shown, headstrong ideological factions can steer a Republican majority in their direction. Despite the wolf-in-sheep’s-clothing worries of progressives, most libertarians arrive in Concord as Republicans. Since the Free State Project is technically a nonprofit and therefore can’t directly involve itself in politics, the New Hampshire Liberty Alliance is the best official count of libertarians. The NHLA, a group founded by Free State Project supporters that acts as a de-facto political machine, scores bills and legislators on their “pro-liberty” qualities, ultimately endorsing the politicians with the highest-scoring vote records. * This past election, it endorsed 129 candidates; 121 of them were Republicans. The New Hampshire GOP presents an opportunity for those libertarian-leaning politicians. The party is as split as it was two years ago, when libertarians’ preferred candidate won the party’s hotly contested caucus vote for speaker of the House. When a minority of moderate Republicans later sided with Democrats to install the current speaker, libertarian Republicans were incensed. Day points to this as the moment he first considered a spoiler run at Ayotte. A former state attorney general, Ayotte had voiced her support for the moderate speaker in what Day saw as an improper interference in state politics. Of course, libertarians themselves aren’t a monolithic political force. The notion of a libertarian organization is a tad oxymoronic after all, for a philosophy of individual freedom. That individualism has often meant that the group’s strangest and most outspoken members become the face of the project, whether its main organizers like it or not. While Keene’s Free Staters drew negative attention, their notoriety also attracted more people to sign the pledge. When the Free State Project distanced itself from a Keene-based Free Stater—ending more than a decade of advertising on the show to its national audience of potential movers—the group’s statement noted he “has likely brought more movers to New Hampshire than any other single individual.” And, ultimately, getting libertarians into New Hampshire is the main goal, no matter their stripes. Of course, that loud protester type is the flavor of Free Stater that tends to get noticed. Democratic State Rep. Tim Smith said he first encountered the group when members protested at one of his Manchester campaign stops by staging a play. “The allegory of the state,” Smith recalled, cast him as “the evil state man locking people in prison for forbidden plants,” even though he actually supported legalizing marijuana. Besides the Keeniacs, there’s also the Free Town Project, a Free State Project subgroup that tried to cut the tiny town of Grafton’s budget down to the bone. And of course, there’s Day. His spoiler Senate run was another example of the noisiest Free Stater getting the most attention, but if the messages Day said he received after the election results are any indication, a lot of libertarians weren’t happy with his choice of tactics. Unlike the groups in Grafton and Keene, though, Day can claim a mark on national politics. The Free State Project’s biggest political impact may be just around the corner, though. With New Hampshire under full Republican control for the first time in more than a decade, the group can finally see a libertarian agenda consecrated as law. On Wednesday, New Hampshire Republicans vote on their next House speaker. The last vote spurred Day to run as a spoiler against a fellow Republican. This time, a Free Stater is on the ballot.